Working with the ICE UAE Branch will help place your company in the minds of the key decision makers, and raise the profile of civil engineering across the GCC. Find out more about sponsorship and promotional opportunities, and how they can benefit your company. 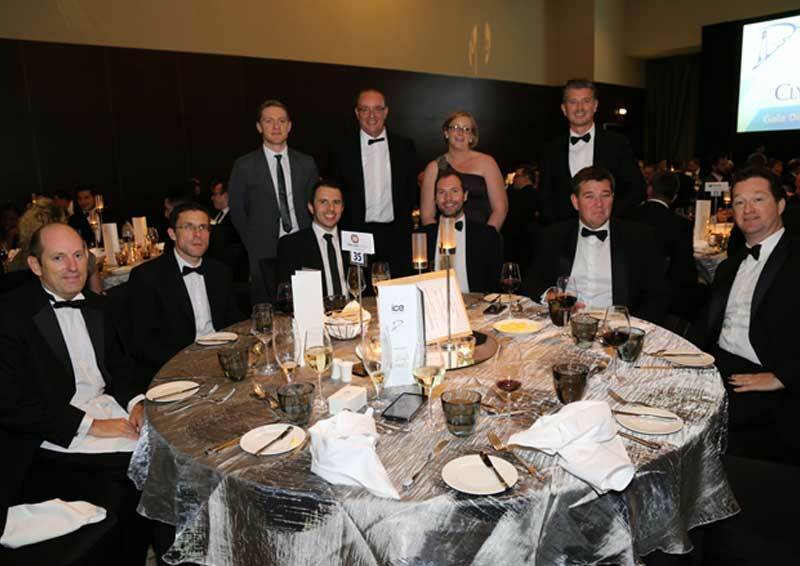 Image from ICE UAE Gala Dinner 2015 - with more than 400 people in attendance. In 2012, ICE UAE became a registered legal entity and further cemented its standing in the UAE by entering into a Memorandum of Understanding with the UAE Society of Engineers. Support of the ICE's aim's and objectives and its importance for the industry. Commitment to professional qualifications, high standards within the industry and the pursuit of excellence. Profile as an industry leader among ICE's local partner organisations e.g. RTA. Commitment to hiring the best Talent in the industry. Wide exposure within the market and profession (MICE, FICE). Commitment to continuous learning and development via CPD and the professional development of staff. Maccaferri offers solutions at a global level for a wide range of civil, geotechnical and environmental engineering applications, from coastal protection to reinforced soil structures and from rockfall mitigation to tunneling systems. Ramboll in the Middle East specialises in structural engineering, building services, fire and risk assessment, acoustics, facade engineering, sustainability and environmental services, transport infrastructure and transport, master-planning and oil & gas services. Jacobs is one of the largest and most diverse providers of technical, professional and construction services including all aspects of architecture, engineering, operations and maintenance alongside scientific and speciality consulting. Menard is a world leader in soil improvement works. Our teams of design and build specialists work regionally to provide alternatives to deep foundations or soil replacement, as well as provide deep compaction, soil reinforcement and soil treatment to reclamations and developments on land or offshore. Want to become a UAE Sponsor?